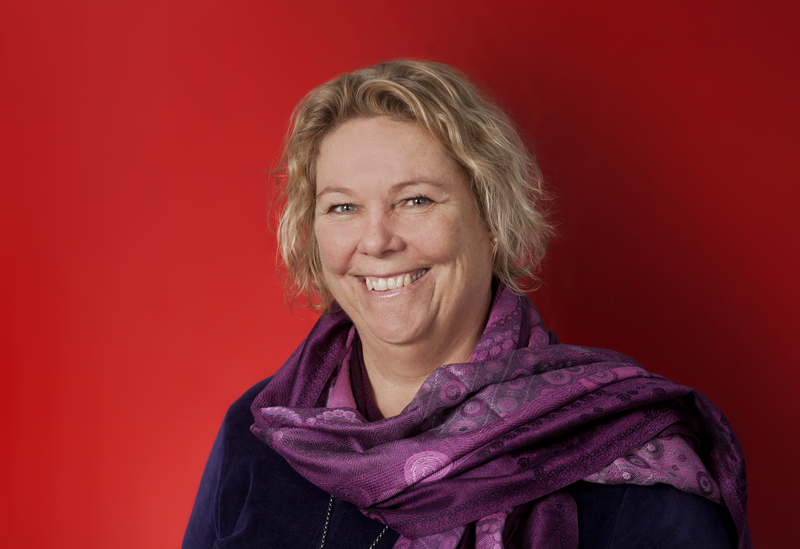 I would like to welcome, Author Anna Belfrage back to Layered Pages today to talk about her B.R.AG. Medallion book, A Newfound Land. Hello, Anna! It is always a pleasure to have you visit with me to chat about your wonderful stories and to congratulate you on another B.R.A.G. Medallion! Hi Stephanie, it’s very nice to be back – first and foremost to see you, but also because every little visit in the B.R.A.G. hot chair is a confirmation that my books appeal to discerning readers. As most authors, I suffer from bouts of insecurity, and being honoured with the B.R.A.G. Medallion is like receiving a quality certificate, a verification that my work is up to standard. Stops me from bingeing on chocolate for a while at least! Your stories are wonderful as I have read them and the Grahams! They are one of my favorite families! I wish I could stop bingeing on chocolate! Ha! Today I want to cover a few things about your story A Newfound Land and seeing as we talk quite a bit about your character, Alex, I would like to focus on Matthew Graham today. First, tell your audience a little about your story. 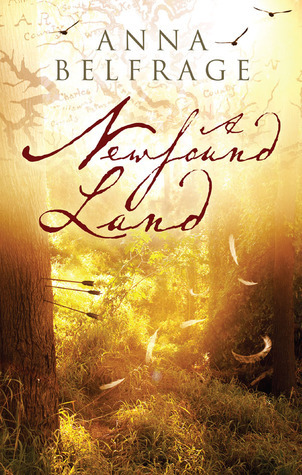 A Newfound Land is the fourth book in The Graham Saga. In this book, we meet Alex and Matthew in Maryland, where they are attempting to build a new life after their enforced emigration from Scotland. Life is hard, the forests are vast, and things aren’t made easier when both of them have to cope with the unexpected appearances of people from their respective pasts. Matthew comes eye to eye with a man he would have preferred never to meet again, while Alex must confront a disturbing reminder of her somewhat irregular background – and she works pretty hard to try and forget she was born in 1976, thereby being an anomaly in 17th century colonial Maryland. What a life-changing decision for Matthew to make to move away from everything he has known and for his family. What are some of the emotions he felt and if it weren’t for Alex’s support, do you think he could have made a drastic decision like that? Matthew didn’t have a choice. He knew that long before he worked up the courage to take the decision, because he’s smart enough to realise that staying in Scotland would eventually lead to either deportation or death. But to take the decision to tear his roots up and move elsewhere was heart wrenching: he felt as if he was betraying the generations that had gone before, who had struggled to keep their little manor intact from eldest son to eldest son. He worried that life on the other side of the sea would be anything but easy, and how was he to keep his family safe, so far away from the world he knows? In all this, Alex had to keep a low profile – there when he needed her, but never too pushy. She watched his anguish and ached inside, but for Alex there never was a choice – they had to leave so as to safeguard their children’s future. Matthew knew her thoughts, knew she was right. He also knew that she would be there to help him carry the grief that she’d be by his side wherever they went. So yes, the day he finally squared those broad shoulders of his and told her they were leaving, he could only do so in the certainty that she’d be with him, every single step of the way. That’s how things are with them; they are each other’s strength and comfort, when one of them falters the other is there to support – always. Why did they chose the Colony of Maryland to start their new life? In 1649, the Colony of Maryland implemented an Act of Toleration, the first ever legislation intended to enforce some sort of religious freedom. In Maryland, Catholics were as welcome as were Presbyterians or Anglicans. The colony was therefore a haven for all those fleeing religious persecution. When Matthew Graham and his sizeable family arrived in 1668, the inhabitants of the colony lived in relative peace with each other, but generally the various faiths kept to themselves, so Providence (present day Annapolis) had a very small Catholic population, while St Mary’s City had very few Presbyterians. Anyway, from Matthew’s perspective Maryland offered an opportunity to recreate his life in an environment where he wouldn’t be persecuted for his Presbyterian beliefs. For Alex, Maryland was a place where she wouldn’t have to walk about with her heart thronging her throat with fear, as she’d been doing the last few years in Scotland, always fearing her Matthew would be arrested for nothing more but stubbornly clinging to his faith. What is his children’s reaction to the New World? Children take most changes in their stride as long as their parents are there to support them – and trust me, I’m talking from personal experience here. Children are also much more open to the possibilities and adventures a new place offers. Ian, the eldest at almost fourteen, is very aware of his father’s feelings – from the grief at leaving his home to the concerns regarding their new life – and makes it his primary task in life to work side by side with Matthew, endless days spent toiling so as to build a cabin, clear a lot before winter is upon them. He also revels in the beauty of their new home, and together with Alex he explores the wild meadows, the river shores. Mark, the second eldest, is only eight and for him – as for his younger siblings – it is simple: where Da goes, there goes he, and if Da says this is home, then it is. At this point in your series, what is an example of a hardship they face? For Matthew it is very much about carving a working farm out of the wilderness. He has a large family to feed, and at times he feels daunted by the work required. When he is not clearing a field, he is at the saw pit, sawdust standing like a cloud round him as he and Ian produce each and every plank required to build their home. Add to this drudgery the threats posed by the Native Americans, the menace of the unsavoury Burley brothers, and Matthew has more than enough on his plate. Could you please share an excerpt from your book? Certainly! Below is a little scene where Matthew comes face to face with his previous tormentor, overseer of the plantation Suffolk Rose, where Matthew spent months in servitude. Matthew weighed his pouch, thinking that the pelts had brought in much more than he’d expected. He left Ian to oversee the sale of the smoked trout and spent the following hour wandering the market, now and then making a purchase or two. The marketplace was crowded, the stalls set up in makeshift narrow rows that left thoroughfares at most three feet across. People thronged; there was a pleasant smell of barbecued meat and mulled wine, and from the livestock pens came a constant cackling, now and then interspersed with an indignant squeal. In a big stall standing by itself, old Mrs Redit was peddling spices – peppercorn, nutmeg and ginger, cinnamon sticks and cloves. She even had limes, and a few minutes later Matthew had concluded his business with her. He was running late for his meeting with the new minister and extended his stride, but when he turned into the alley that led to the main street he came to an abrupt stop. The alley was short, steep and dank. Coming the other way was Jones, accompanied by three men who effectively blocked the whole passage. There was no way round him, and damned if Matthew intended to retreat. “Mr Graham.” Jones inclined his head. He was as resplendent as yesterday, his linen newly changed, his black broadcloth breeches and matching coat of an elegant cut. They both fell silent. Jones regarded Matthew, eyes resting for an instant on Matthew’s various parcels. “I must be on my way.” Matthew tried to sidle past one of Jones’ men. An arm shot out, hindering him. “Now, now, Mr Graham, why the hurry?” Jones nodded at his men, and in a matter of seconds Matthew was surrounded. Matthew wet his lips. He was only yards away from the main street, bustling with people, and should he need to he’d yell. Matthew dropped his purchases, grabbed Jones by the collar and shoved him back against the nearby wooden wall. “How dare you,“ he hissed. Something prodded Matthew’s side and, reluctantly, he released his hold. Jones smoothed his collar back into place and bent to retrieve his hat. How would Matthew handle today’s modern world if he was thrown through time. What would his reaction be? I think he would be reeling under the masses of impressions, from neon lights to blaring traffic, to constant noise, to sky scrapers, to all the people. He’d blink at the artificial lighting, gape at how we live our lives well into the dark, he’d be utterly fascinated by airplanes and trains, but he would miss the horses, the somewhat slower pace at which his life progresses. He would wonder why people are in such a hurry, what they can possibly do behind the doors of all those offices that is so important that they have to spend the entire day there (good question, IMO). He’d gawk at the innovations in science and medicine, he’d finger our clothes and rather like the way his jeans fit him, showcasing his legs. He’d nod approvingly at the invention of the washing machine, thinking of Alex’s long days doing the laundry. He’d raise his brows when we showed him the dishwasher, thinking we’d gotten a tad too lazy. He’d be saddened by how we’ve lost touch with nature, shocked at how we exploit Earth without any consideration of future generations. In Matthew’s world, he builds for himself – but also for his sons, for their sons, and theirs. He plants trees he will never see grow to maturity to ensure they will be there for his future descendant. Modern man no longer thinks beyond our individual life span. He’d shake his head at how we live our lives in adoration of Mammon, and pity us for the way we seem to live in bubbles of loneliness, most of us so focused on “me” rather than “we”. And then he’d turn to me and ask me to take him back home. One of the things that appeals to me most about the Grahams, is family loyalty. What is one of the key elements that keeps the Grahams together and their devotion to each other so strong? Well, that one is easy: Love. There is nothing Alex would not do for Matthew – and vice-versa. Nothing at all. Same goes for their children: you harm a Graham child, and Matthew and Alex will come down upon you like a pile of rocks. Love is the foundation of every family, no matter how big or small. Without love – and the accompanying respect – there is nothing. Time for fun questions! What is Matthews’s favorite meal that Alex prepares for him? He’s very partial to her pork roll. She prepares it by carefully cutting the brisket so that she ends up with a relatively flat piece of meat which she then fills with herbs, finely chopped pork fat, apples if she has any, or prunes. She then rolls the whole thing together, ties it together and leaves it to simmer for some hours. As per Alex, this is when she would really want a modern oven, so as to acquire a nice crisp surface, but things being as they are, she heats one of her heavy skillets and browns the entire roll once it is done before leaving it to rest for an hour or so prior to slicing it. And with it she serves parsnips and cabbage. Sitting by the fire what would Matthew and Alex be discussing? And if they were reading a book, what would it be? They don’t have that many books. A Bible, John Donne’s collected work – Matthew is a big fan – a battered copy of Don Quijote, plus Shakespeare. Often, Matthew reads to Alex as she is sewing, and quite often he takes the opportunity to read her passages of the Bible in an effort to educate his wife in his faith. Alex remains somewhat skeptical, but enjoys listening to his voice. As to what they talk about, well it’s everything from the day-to-day, their children and their plans for their future. At times, Alex raises the issue of Matthew’s homesickness, and even if he is uncomfortable admitting to it – and discussing it – she never lets him off. Sometimes, these conversations become heated, with him expounding about his lost home while she insists that this is home now – their home. What is something private that they share that is only between them? Ahem, other than their affection for each other that is…. Sometimes, Alex shares information about the world she comes from with Matthew and the kids….what is a something that she shared with them that totally captured their attention or really shocked them about the future? Actually, most of the children never find out about Alex’s somewhat irregular background. Only Ian and Mark are ever told (in the next book of the series), and they react very differently: Ian asks questions more along the line to verify that Alex has no intention of ever trying to get back, while Mark is truly entranced by the idea of a future world. Alex, however, doesn’t like to talk about this with them, and so she is generally very evasive. The only person she does share things with is Matthew, but once again they are both made uncomfortable by all this, so the conversations tend to be about mundane things such as running water and central heating and the truly essential stuff like chocolate. It makes Matthew laugh when she goes on about the foodstuffs she misses, and now and then he pinches her hips and says it’s probably a good thing she doesn’t have access to all those sweet things. That makes Alex swat at him. Now and then, Alex talks about cars. Now that is a thing Matthew is really, really fascinated by, all of him lighting up at the idea of being able to transport himself at such speed. The thing that truly puzzles – and frightens – Matthew, is Alex’s insistence that in the modern world there is very little time for God. Matthew shivers inside at the idea of living in a day and age where people no longer have any interest in the divine. What is the title of the next book in this wonderful series after A Newfound Land? Serpents in the Garden in which Alex and Matthew have to handle one absconding son and his irregular marriage and one very unhappy son and his crumbling marriage. Plus, of course, we have the evil Burley brothers, there is the matter of the unfortunate time traveller Alex comes across in Providence and we see an entirely new side to Luke, Matthew’s dastardly brother. 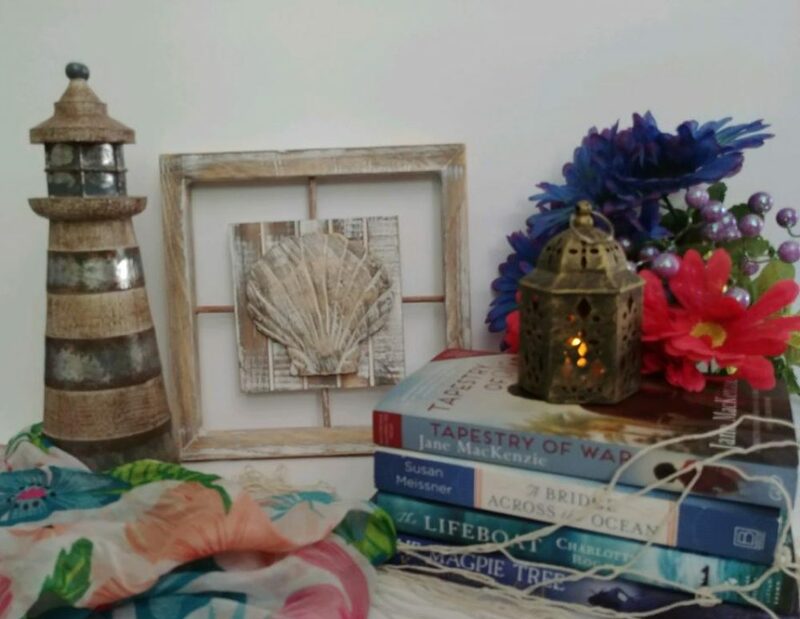 Where can readers buy your book? It’s available on Amazon, on Barnes and Noble, on Kobo and several other on-line book shops. Anna, it was a pleasure chatting with you! Do come back and chat with me soon and next time let us have a bit of cakey-as MM Bennetts would say. Shall I serve carrot cake? Thank you for inviting me over, Stephanie, and I would love to pop by again. After all, who can ever turn down carrot cake? I was always going to be a writer – or a historian, preferably both. Instead I ended up with a degree in Business and Finance, with very little time to spare for my most favourite pursuit. Still, one does as one must, and in between juggling a challenging career I raised my four children on a potent combination of invented stories, historical debates and masses of good food and homemade cakes. They seem to thrive … Nowadays I spend most of my spare time at my writing desk. The children are half grown, the house is at times eerily silent and I slip away into my imaginary world, with my imaginary characters. Every now and then the one and only man in my life pops his head in to ensure I’m still there. I like that – just as I like how he makes me laugh so often I’ll probably live to well over a hundred. I was always going to be a writer. Now I am – I have achieved my dream. We are delighted that Stephanie has chosen to interview Anna Belfrage, who is the author of, A Newfound Land, our medallion honorees at indieBRAG . To be awarded a B.R.A.G. Medallion TM, a book must receive unanimous approval by a group of our readers. It is a daunting hurdle and it serves to reaffirm that a book such as, A Newfound Land, merits the investment of a reader’s time and money.